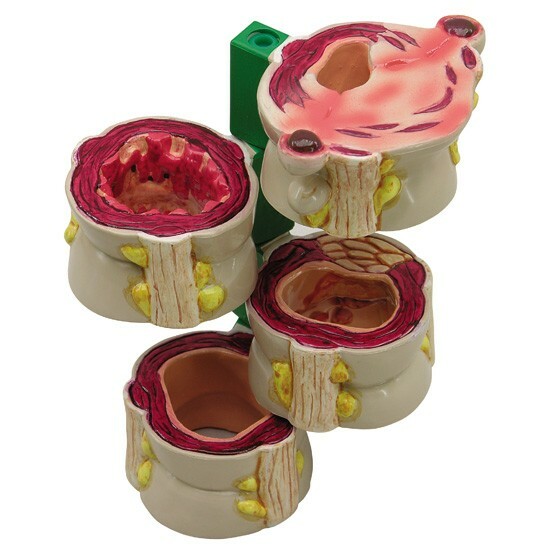 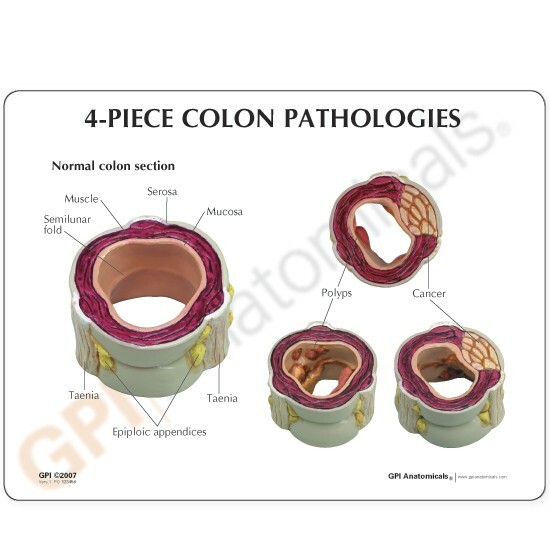 Four-piece colon cross-section of the human colon demonstrating both normal and various disease conditions. 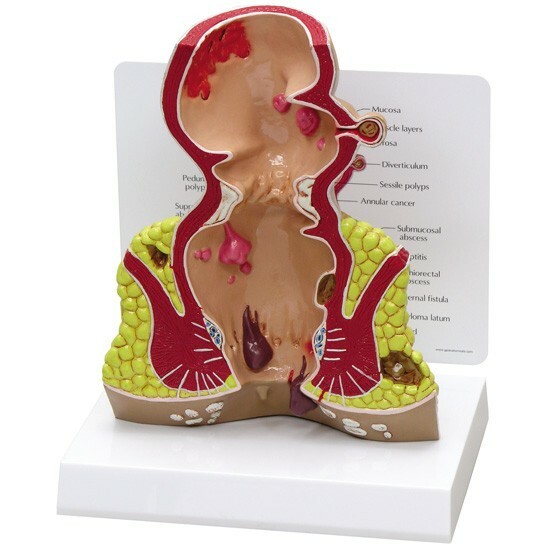 Structures included in the normal anatomy include: serosa, muscle, mucosa, semilunar folds, taenia, and epiploil appendices. 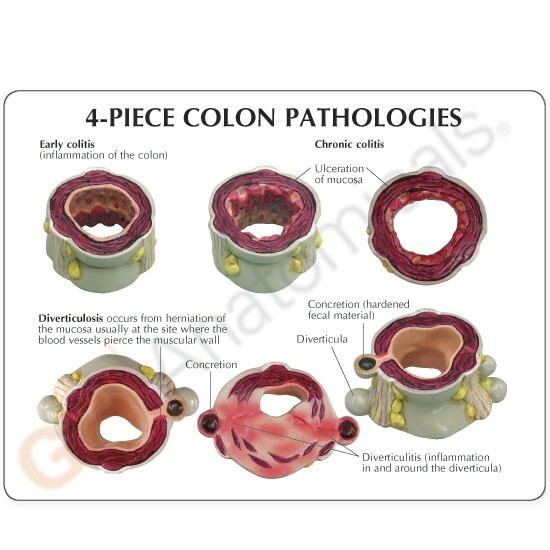 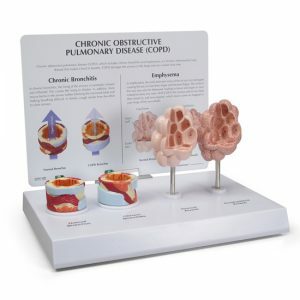 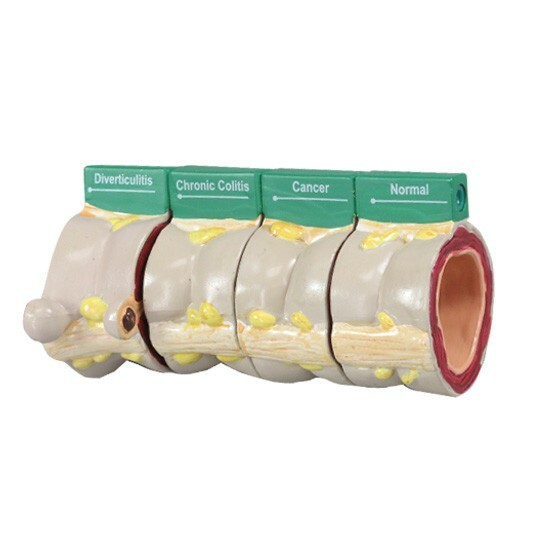 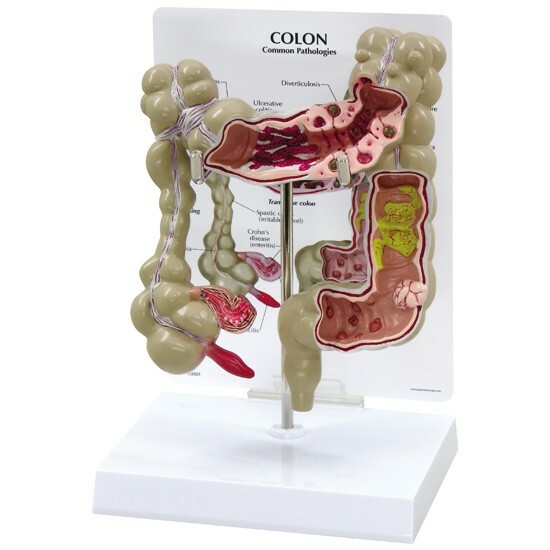 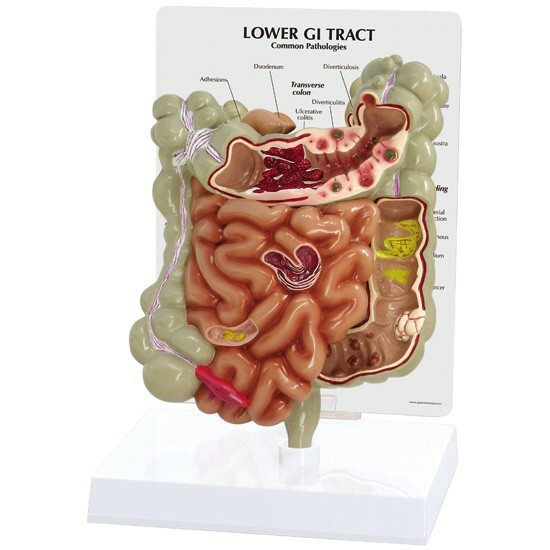 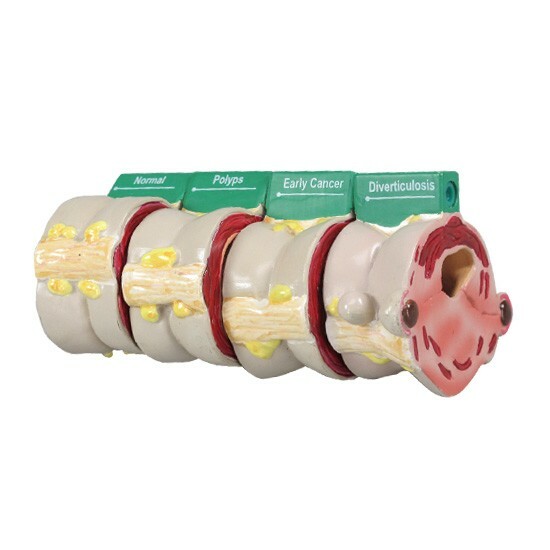 Diseases represented are: polyps, cancer, diverticulitis, and colitis.